When you find yourself in the middle of a blackout or stalled out on the side of the road at night, it pays to have a flashlight you can count on to light your way. You can cover your bases—and cover them again—with this 2-pack of UltraBright 500-Lumen Tactical Military Flashlights, now on sale for $14.99, down from $100. Today only, you can score them at an additional price drop, taking the total down to only $12.99. Fashioned from military-grade materials, these flashlights are built to endure any mishap, and the included case adds even more protection. They're powered with 500 lumens and feature an adjustable zoom that provides up to one mile of range. Plus, they boast bright, lower bright, and SOS modes for extra versatility. 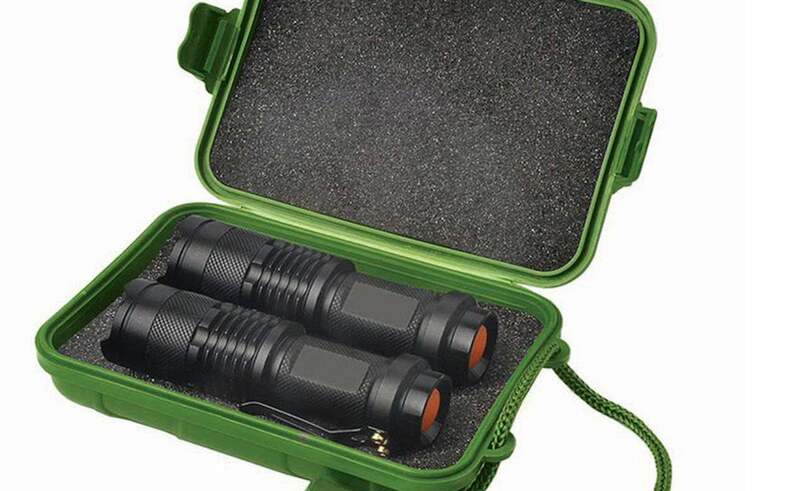 You can add two UltraBright 500-Lumen Tactical Military Flashlights to your emergency kit for only $12.99, saving more than 85% off their $100 normal price. This story, "Save 85% On This Two-Pack Of Tactical Military Flashlights ($12.99) - Deal Alert" was originally published by PCWorld.